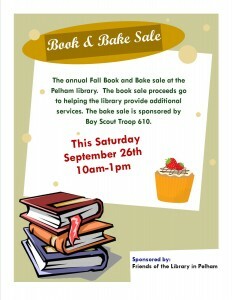 I was going to post my flyer below about the Library Book and Bake Sale this weekend on Facebook. 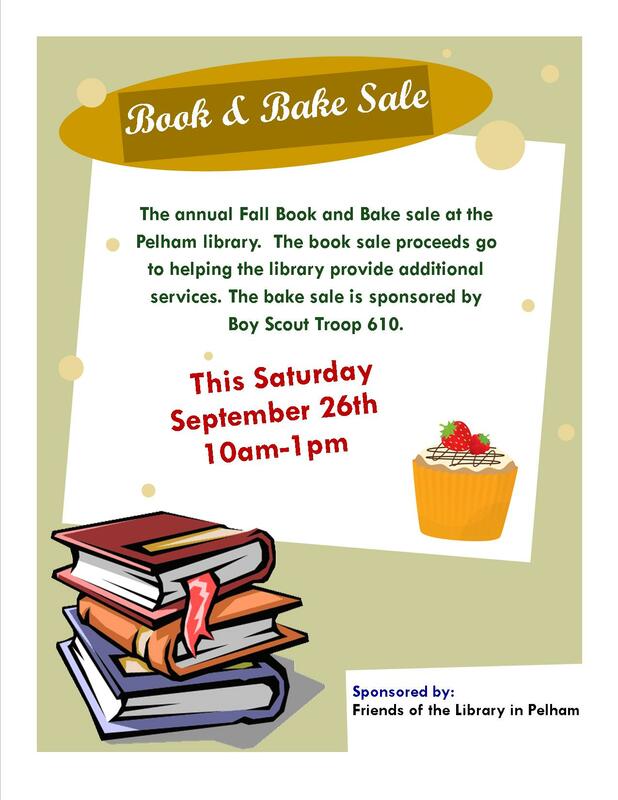 I’m a parent evangelist for the Boy Scout’s, and they are hosting the bake sale. Lot’s of homemade goodies…the gluten free peanut butter cookies are my creation. 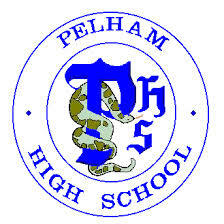 To the point, this weekend is also Pelham High School’s homecoming weekend. I received an email this morning; the activities are pretty great! I could not find a link to the activities so thus the post. 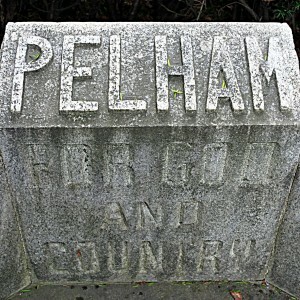 Get out this weekend, there’s lots to do in Pelham! HS Addition Open House: The HS will be giving tours of the new addition Saturday, September 26 at 10am and 1pm. All are invited! 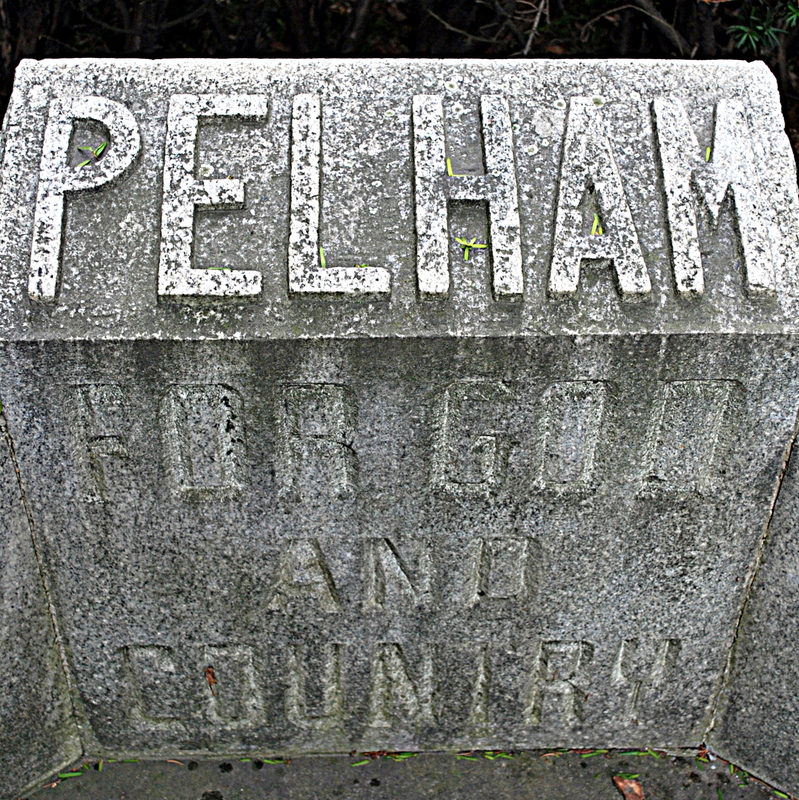 This entry was posted in Pelham and tagged book sale in pelham nh, pelham high addition, pelham high school, pelham high school addition, pelham homecoming weekend, pelham library book and bake sale, pelham library book sale, pelham nh high school by Jennifer Cote. Bookmark the permalink.